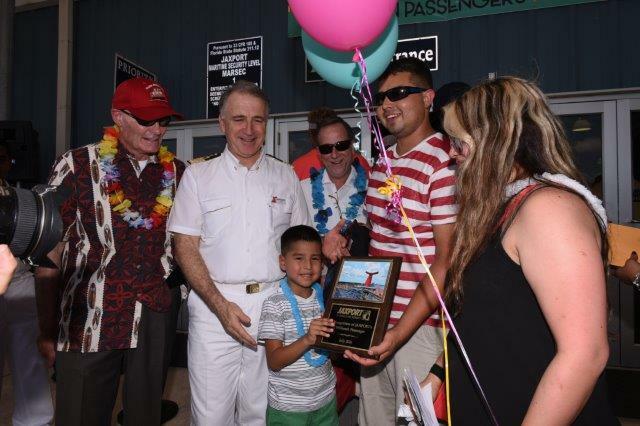 The 2 millionth cruise passenger to sail from JAXPORT was given a great welcome onboard the Carnival Elation yesterday. Carina Alejandro who is a first-time cruiser was the 2 millionth cruise passenger to sail from the Jacksonville cruise terminal in Florida. Lucky for her she was welcomed by JAXPORT staff and the ship’s captain. As part of the unique event she received plenty of attention and gifts. It get’s better as Alejandro, her young son and fiance are all getting the VIP treatment during their 4-day Bahamas cruise. With the attentions from the port and the cruise line we’re pretty sure she will be sailing again. The Fantasy class ship is scheduled to call at Freeport and Nassau before arriving back in Jacksonville on July 11. 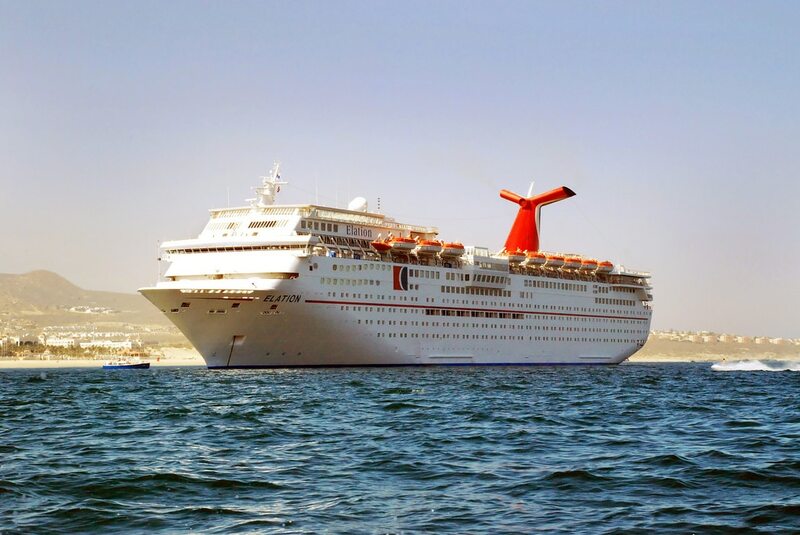 Carnival Cruise Line is the only cruise line sailing year-round out of the port. It first started cruises in JAXPORT in 2004 with the Carnival Miracle. Currently, Carnival Elation carries 170,000 passengers every year.